In all that we do, safety is our number one priority and delivering what we promise, our purpose. Whenever and wherever we conduct our business, we ensure that we are working in ways that do not adversely impact on local communities and the environment. When we talk about Corporate Responsibility, we are essentially considering how business operations impact on employees, suppliers, clients and their customers and the environment. Corporate Responsibility is not about acting charitably and being seen to 'do the right thing'. It is about every business-led activity or initiative being 'the right thing to do'. Ultimately, our vision and values reflect how we do business and our Corporate Responsibility approach represents our vision to operate sustainably and responsibly. Structured by sound governance and led by our integrity, we undertake to be responsible in the way in which we conduct our business. We aim to foster a culture which is collaborative and work with our clients to share goals and objectives. Through trusted relationships with our clients, our employees and other stakeholders, we are building a sustainable business which promotes future prosperity. By creating this clear, structured approach, we are well positioned to respond to our Corporate Responsibility objectives and targets. The ethos behind our "Responsibility Built In" vision is to be a good corporate citizen in all that we do. This abiding philosophy touches on every aspect of our business and can be summarised as: Service delivery with integrity ensuring a sustainable future for our people, our clients and their customers; Morrison Utility Services has "Responsibility Built In". 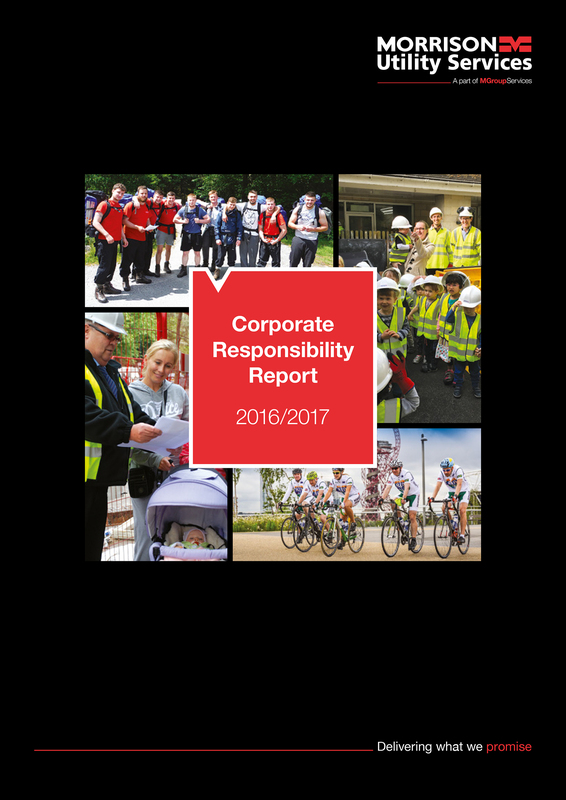 Please fill out the form below if you would like to be sent a copy of our latest CR Report.